One of the most wonderful aspects about being a writer these days is that I get to meet so many wonderful writers and avid readers. Without the modern marvel of the Internet, I would have missed out on some great new friends in my life. Crime writer Benjamin Sobieck is a sharp, witty, and exciting crime writer. Well… basically, he’s just an all around fun guy and he agreed to write a fun post for today. In the early stages of my crime thriller novel, “Cleansing Eden – The Celebrity Murders,” I marinated my guts in vodka. It didn’t make paragraphs magically fall from the sky, but it did lubricate the creative engines in the early drafts. But like anything built under the influence, the end result was a bit wobbly. I switched to coffee for the revisions. Caffeine also doesn’t make words magically appear, but it does help focus the mind for precision tooling. I imagine this beverage schedule sounds familiar to other thriller authors. That got me thinking. Do beverages change according to genre? If they do, here’s my highly generalized list of matching drinks to genre. Thriller – Booze then coffee, repeat. Mystery/Crime – Booze and more booze, in that order. Romance – Wine and sparkling water. Sci-Fi/Fantasy – Energy drinks and Mountain Dew, mixed to perfection. Non-Fiction (journalists) – Antidepressants downed with a beer downed with coffee chased with a cigarette chased by a cop because you just did all that at once while trying to drive. Horror – Is meth available in beverage form? Western – Soda and chew juice because you used your soda bottle as a spitter. Benjamin Sobieck’s crime fiction has been featured in the Amazon Top 100, the national front page of Examiner.com and many “best of” lists. He is the author of the crime thriller novel, “Cleansing Eden – The Celebrity Murders,” the Maynard Soloman crime humor series and numerous short stories. 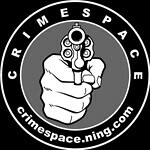 His website is crimefictionbook.com. 1) In 2010, a living donor gave me a kidney. It’s the only reason I’m up and writing today. The donor is still happy and healthy. I was lucky. Roughly 113,000 are hoping they will be, too, but 18 die every day. Please be an organ donor. Here’s information about becoming one. 2) Two-thirds of my caloric intake on any given day comes from peanut butter. Breakfast and lunch don’t happen without a jar of the good stuff. Purists like me prefer chunky. 3) I really enjoy cooking. To date, my talent doesn’t match my enthusiasm. My most recent successful culinary adventure was “duck nuggets,” made with wild duck hunted in North Dakota. 5) I’m a big fan of horror movies. I used to rent old video tapes with my friends from this dump down the road. The B-horror movies were so bad. And at the same time, so good. 6) My two favorite authors are Elmore Leonard and Hunter S. Thompson. This entry was posted in Guest Post and tagged author benjamin sobieck, cleansing eden, crime writer, maynard soloman crime humor series, thriller. Bookmark the permalink. Coffee, tea, brandy or wine for me, depending on mood and whether I’m working (the day job) the next morning. Interesting to learn more about you, feller. Cool, clean looking site you got here,Jennifer. It’s always good to discover other writers. Thanks for stopping by Col. I prefer a good bloody mary when writing romance novels. Great suggestions for the genres though like Col I did raise an eyebrow at the Erotica suggestion. Something salty would indeed be fitting so I’ll suggest Tequila because after drinking it i’m always that way inclined. Love the crispness of your site Jennifer. I, uh, er…don’t want to go into too much detail about that particular suggestion.